On Sale £487.00- all incl (No hidden extras). Top Quality Tap for Hot, Cold and Filtered Water. 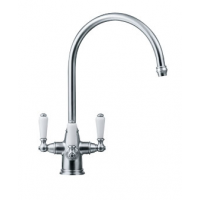 Classic top quality styling to complement many sink types. 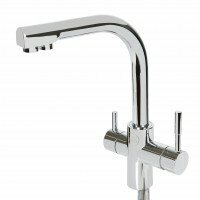 The Franke Doric Filterflow Tap with a Chrome finish has vertical quarter turn ceramic disc levers, and a stylish profile. 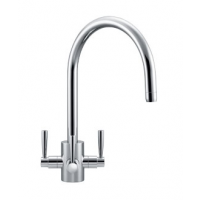 Your Franke Doric three way Chrome water filter tap accepts normal hot and cold water Plus Filtered Water. 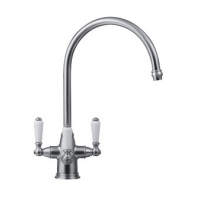 Please note: this offer is for a Franke Doric Filterflow three way water filter twinned with our Master Purifier water filter. 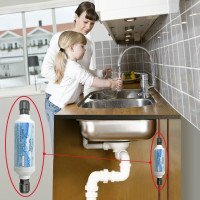 This is a high quality fully certified 5 micron carbon block cartridge inside a classic water filter housing. Features a multi-stage filtration system built into a single cartridge. 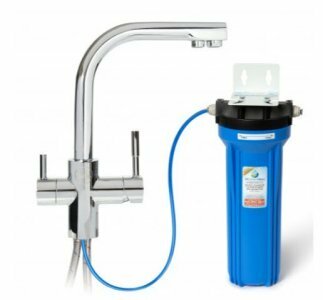 (The image above shows our Master Purifier water filter with our own brand 3 way tap. 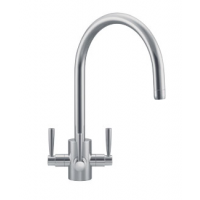 The set up will be the same with your Franke Doric). Your new filter restores water to its fresh natural state, improving the taste of your drinks and cooking. Featuring a perlator that mixes air with the water to minimise splashing and reduce unnecessary water consumption. Compact design requires little space under the sink. Fully Guaranteed with a three year warranty. Plus our efficient, free reminder system prompts you to change the cartridge. (Changing cartridges is very easy and only takes a couple of minutes). This company is one of the best I have ever dealt with on every front... changing filters is a breeze,customer service second to none. I have no problem reccomending them. A joy to do business with". Independent Review by "K W Ellis"
Ongoing cartridge changing costs are £13.95 every 6 months ie about £28 pa (incl VAT and delivery). 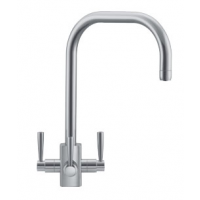 If you want the original Franke water filter we can supply this but it will cost an extra £200. 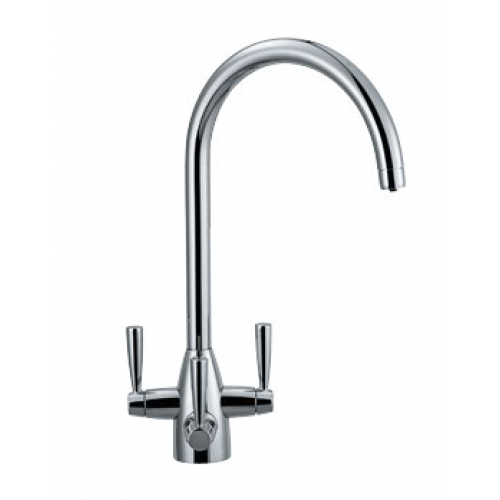 And please bear in mind that the required 6 monthly Franke cartridge filter changes will cost you approx £40 every 6 months ie about £80 pa.
(There is no real difference between our master purifier and the Franke filter. 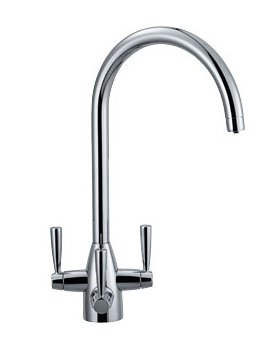 The Franke filter is certainly good quality but the higher price is probably simply due to branding). Your service was perfect - good low price, fast efficient no hassle - so rare these days. Thank you." Independent Review by "Susan Quayle"